Sometimes you might want to make decks of cards at home to try out ideas, but you still want them to look professional. Cutting them out by hand either takes a long time, has messy results, or both. You can use a paper cutting machine (I describe steps for the Silhouette Cameo here) to cut the cards automatically, meaning less cutting and more playing. 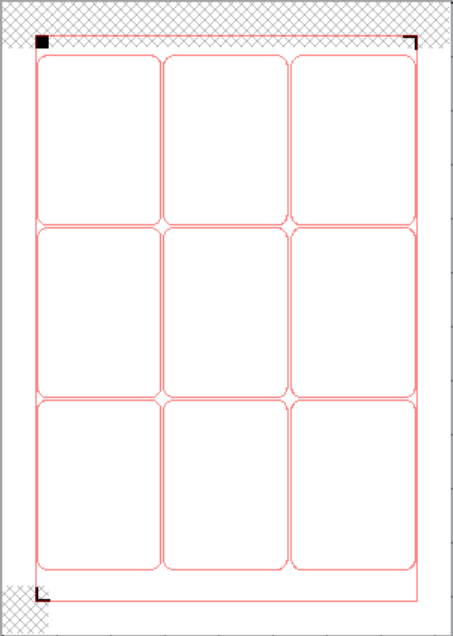 Create your cards on this Cards template (do not change the margins). You can create the cards following the steps or paste your own table of cards. The template includes registration marks – marks that the cutter reads to know where it is. Go to Options -> Advanced -> Printing and uncheck “Scale content for A4”. Print the cards using “Finish and merge” from the “Mailings” tab. Download and extract the card cutting template and use it to cut the card sheets using a Silhouette Cameo paper cutter. If you have another cutter you may be able to convert the format of the template here.